Chop apricots into small pieces. 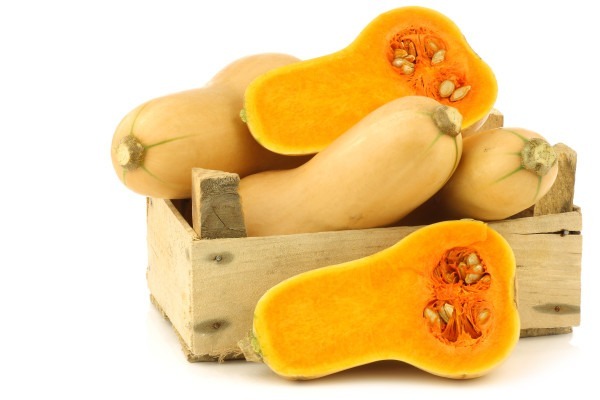 In a steamer basket over 1 inch of water, steam apricots and squash cubes for 10 to 12 minutes or until soft. Add raisins and steam for 2 minutes more. Reserve steaming liquid. Transfer apricots, squash, and raisins to a food processor with ½ cup reserved liquid. Puree. Add more liquid as needed to obtain a smooth, slightly runny consistency. Preheat oven to 120 degrees or lowest temperature for your oven. Cover a large rimmed baking sheet with parchment paper coated with cooking spray. Pour mixture on paper in a very thin layer, about ¼ inch thick. Bake, leaving oven door slightly ajar, for 3 to 4 hours, until puree has dried completely. Remove from oven. Use scissors to cut puree and paper into long strips, the full length of the pan. Cut strips in half and finish by rolling them up. Store in an airtight glass container. Makes 24.